Gorgeous Lake View Apartment Available! | Robert Hancock Co.
Gorgeous Lake View Apartment Available! 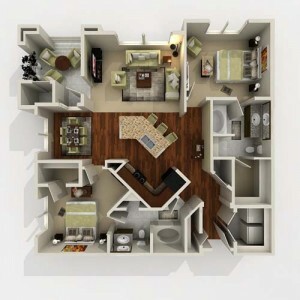 We currently have a Jefferson floor plan apartment that is ready and waiting to be your new home! This unit has 2 bedrooms, 2 full bathrooms and a large, walk-in laundry room. The beautifully open design of the kitchen, with its gleaming granite countertops and naturally lit dining room area, make for the perfect setting of family dinners. Refrigerator, glass top stove, microwave, dishwasher, garbage disposal, and full-sized washer and dryer are all included. This apartment is on the 1st floor and has a view Shadow Lake in its entirety from the master bedroom, the living room, and the patio. Whether the lake is frozen and covered in falling snowflakes or reflecting the gorgeous summer moon, it’s a view that you don’t want to pass up. Want to check it out for yourself? Call the office at 402-916-4137 or email slsleasing@roberthancockco.com to schedule an appointment. Want to apply online to take it off the market before anyone else can? Click here.